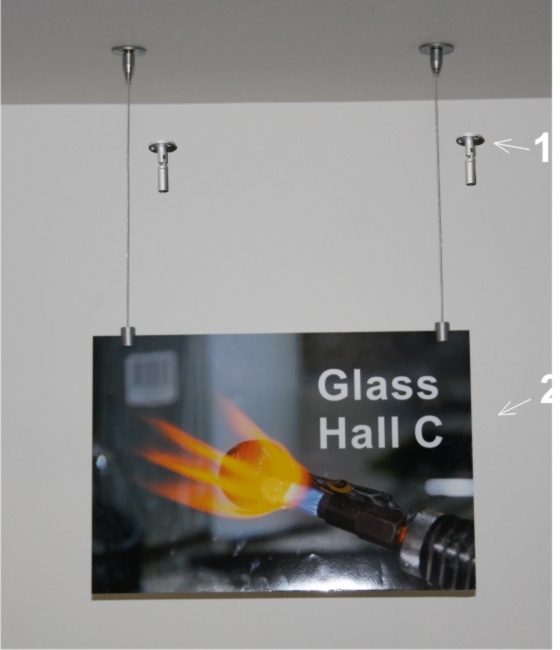 Kit includes 2 ceiling / wall brackets, 2 sign clamps, 2 cables (6 Foot x 1.5MM), Allen Wrench and screws. 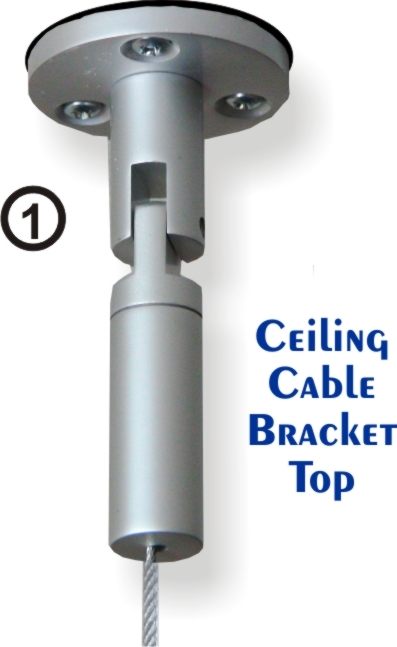 The bracket swivels 90 degrees. 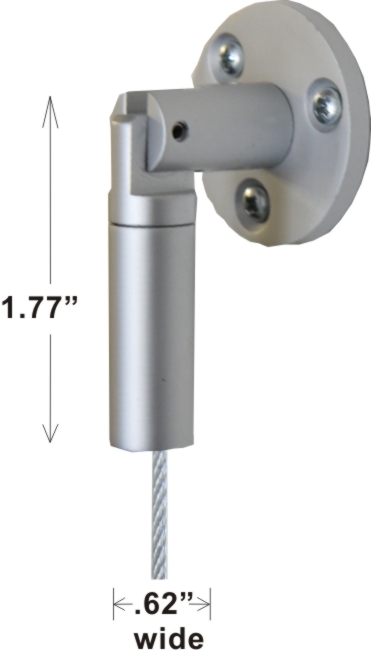 It can be mounted on the ceiling or swivel down to mount on the wall. 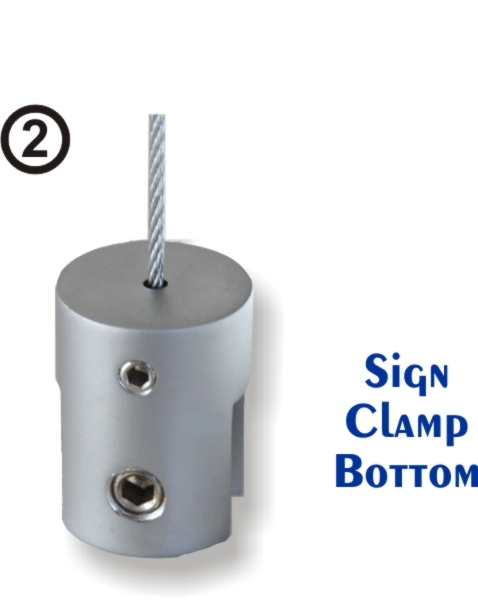 Gorgeous satin brushed aluminum fixtures for handing signs. 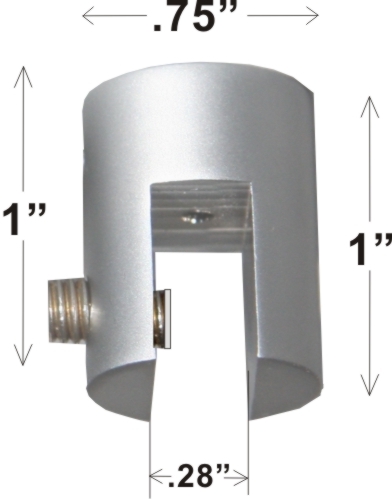 Mount on ceiling or walls. Easy to change your sings. Accomodates signs up to .25 inch thick to paper thin.